Last, but not least for this little Fall Season soiree, is Angry Orchard Apple Ginger! 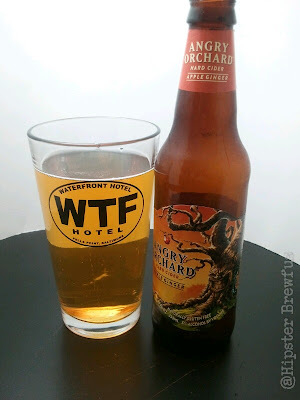 I had been toying with the idea of reviewing a cider, but the idea never felt quite right. In truth, it was the idea of reviewing a cider, that lead me to the idea of doing this neat little three part Autumn themed posts. 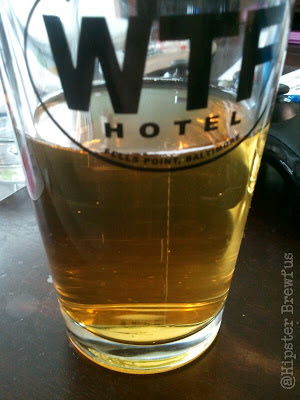 This post shouldn't be too long, as there just doesn't seem to be too much to cider. But, I'd be more than happy to learn more, if you have something to teach me! So lets break it down! It pours a whole lot of nothing special. it looks like a slightly carbonated apple juice. With a half finger, fizzy head that disappears in an instant. It smells like...a slightly alcoholic apple cider. Ginger? Nah, not to my unrefined nose. The taste is kind of "meh." It''s good, very crisp, refreshing and tart. 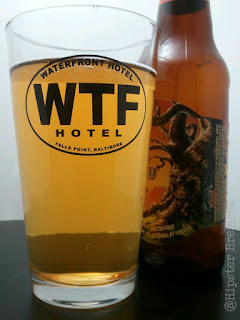 But certainly nothing out of the ordinary when it comes to hard ciders. Like I said, it's good. With such an easy going taste, and relatively light feel, I was able to put away the 6 pack far quicker than I would have guessed. I wanted more ginger though. It seemed to be an after thought. Didn't pick it up in the nose, and barely caught wind of it in the taste. I wanted Ginger Ale, with apple, but maybe that's not what the creators had in mind? What do I know? I absolutely love that tree. This perfectly vertical line of bubbles was there until the last gulp. I absolutely would not hesitate to pick up more of this, and I'm a little anxious to pick up a bomber of some specialty cider I see they make. 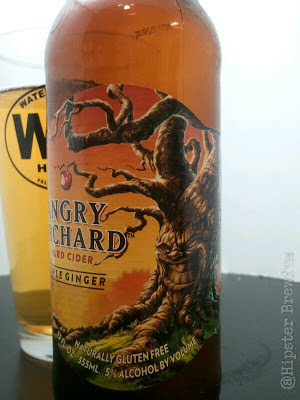 You can check out Angry Orchard online!